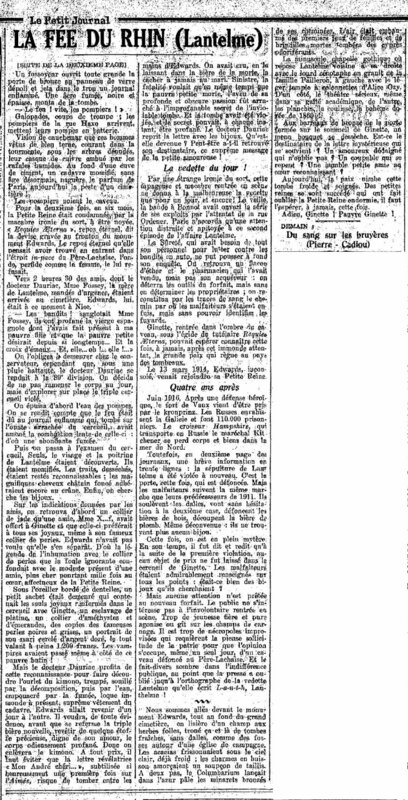 Last part of an article about Lantelme, published 13 October 1925. All scans found on Gallica site. 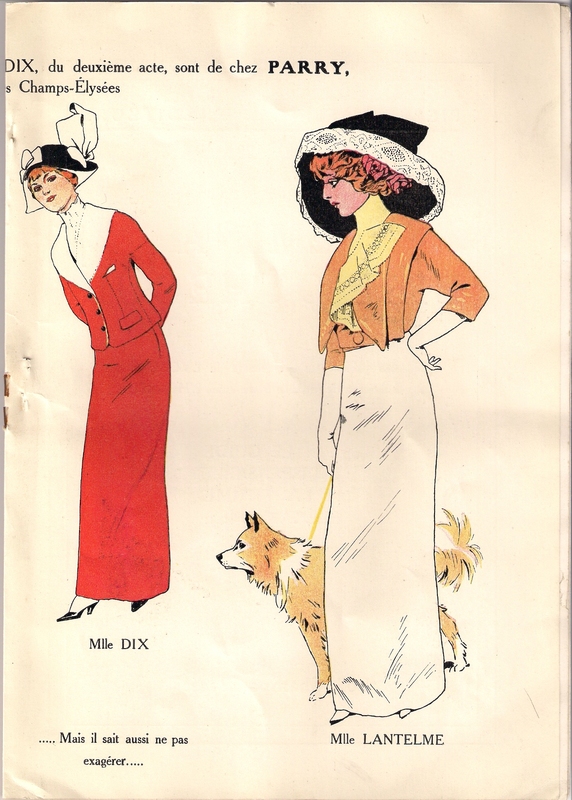 Part 3 of La Fee du Rhin, published 12 October 1925. 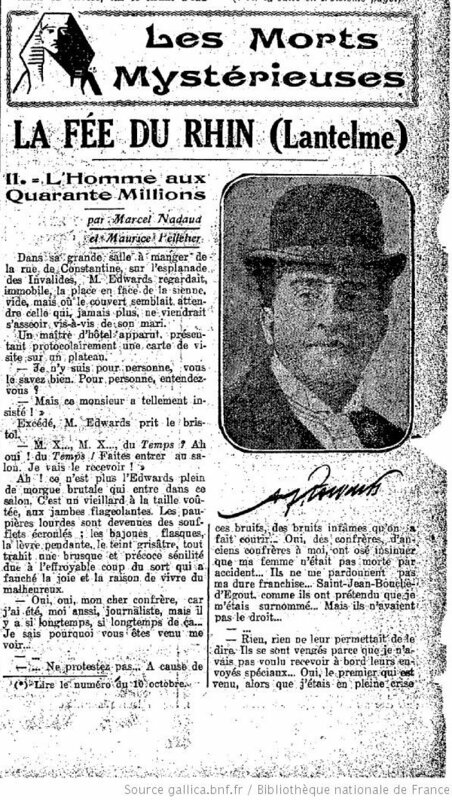 Part 2 of La fee du Rhin, published 11 October 1925 in Le Petit Journal. All scans from Gallica site. One of first books about Lantelme was Les Morts Mysterieuses by Marcel Nadaud and Maurice Pelletier, published in 1926 (see cover here). But before the book publication the text has appeared in Le Petit Journal, one of most popular French newspapers. 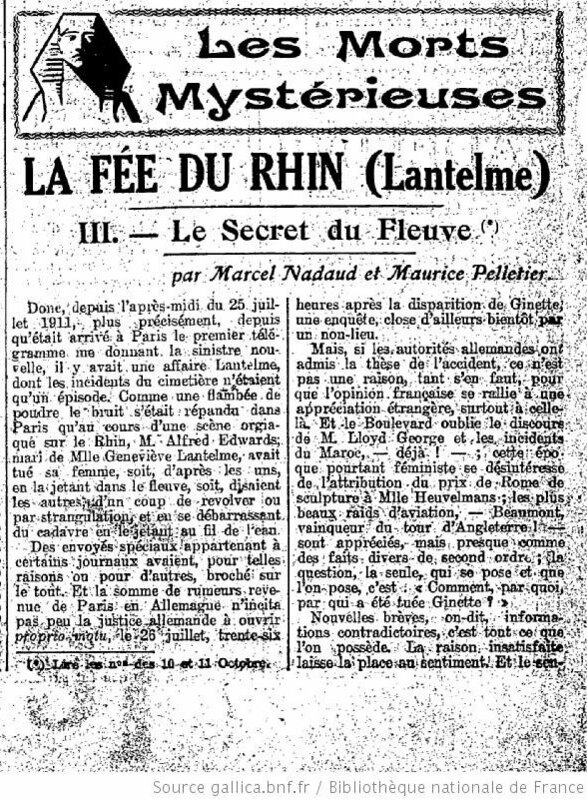 The chapter about Lantelme, called La Fee du Rhin, has been published in 4 issues from 10 October 1925 to 13 October. I found these issues on a wonderful Gallica site. Here is first part of the article, published 10 October 1925. Scan fron V’lan theatre program. Genevieve Lantelme in Parry (Jean Patou) dresses. 1911. V’lan was her last comedy (revue) she played from 1 June 1911 to 1 July 1911. The dresses were made by Parry fashion house. 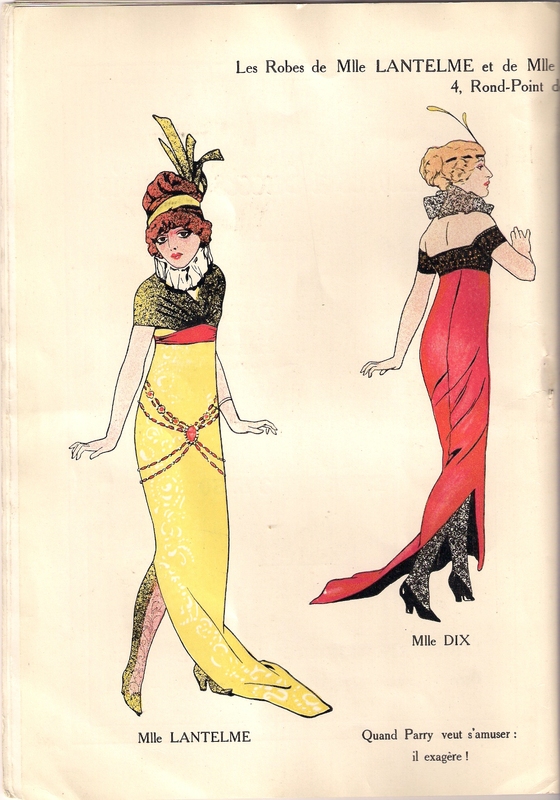 Parry, it was Jean Patou who later will become a very popular designer.